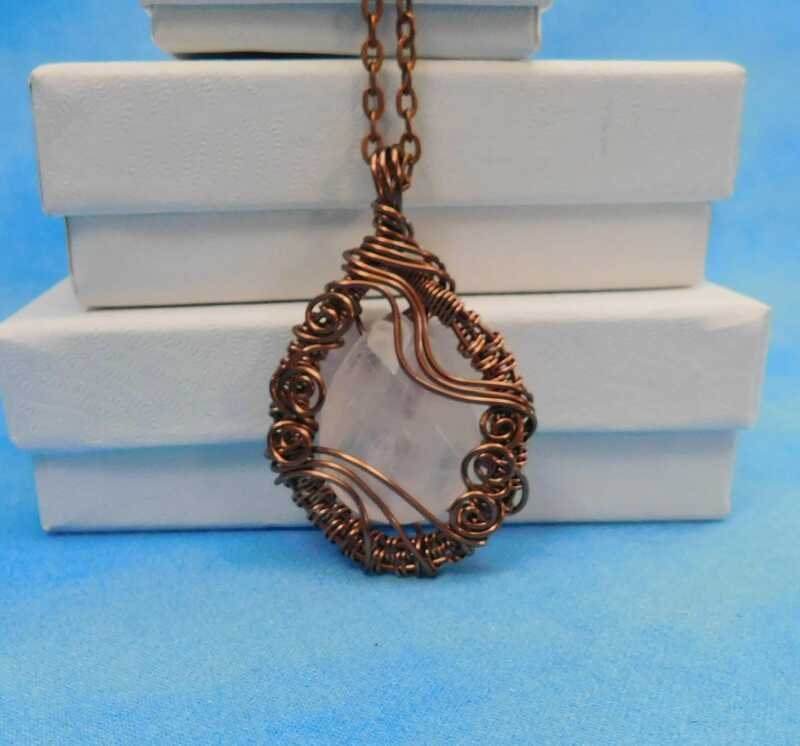 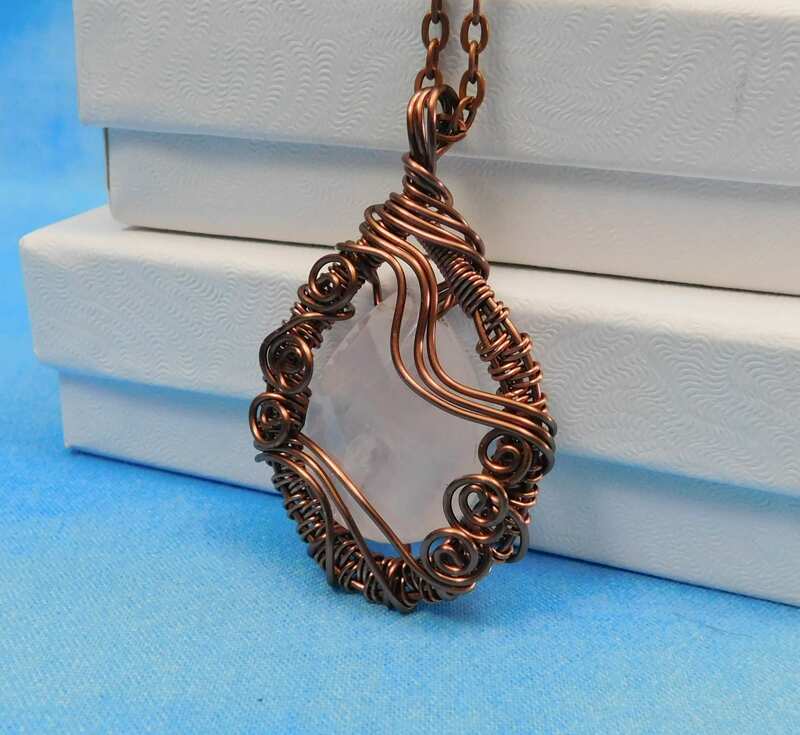 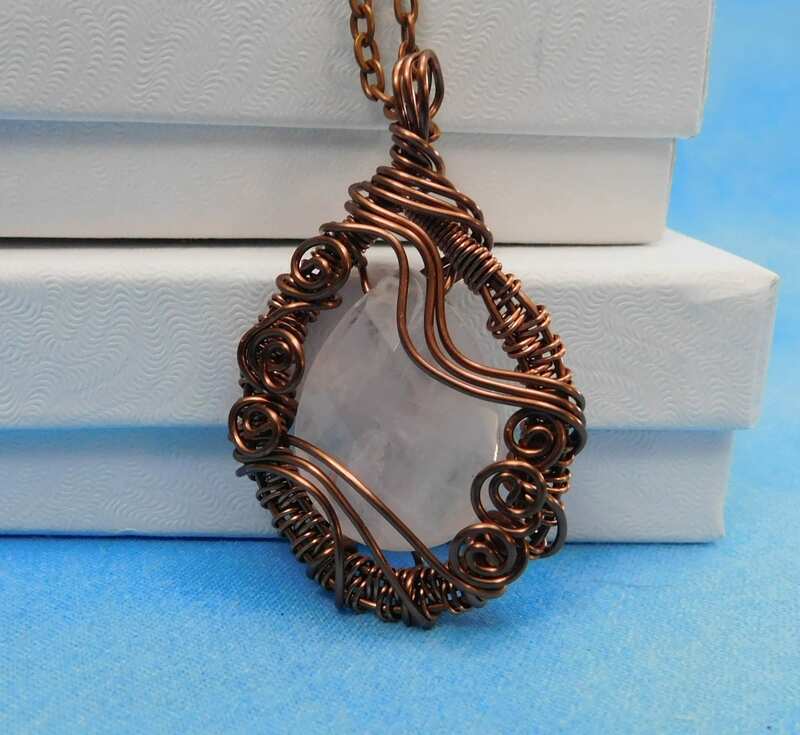 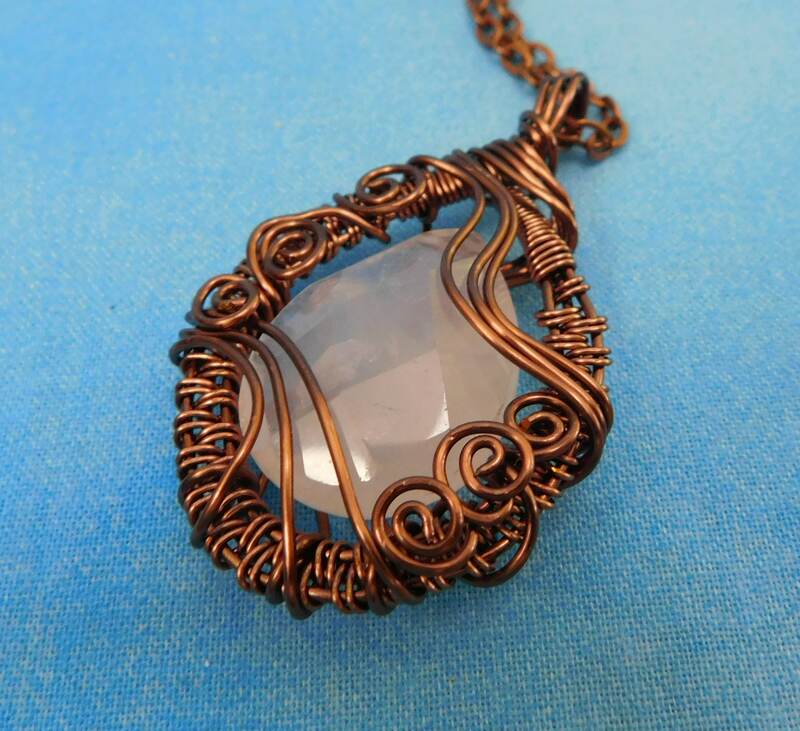 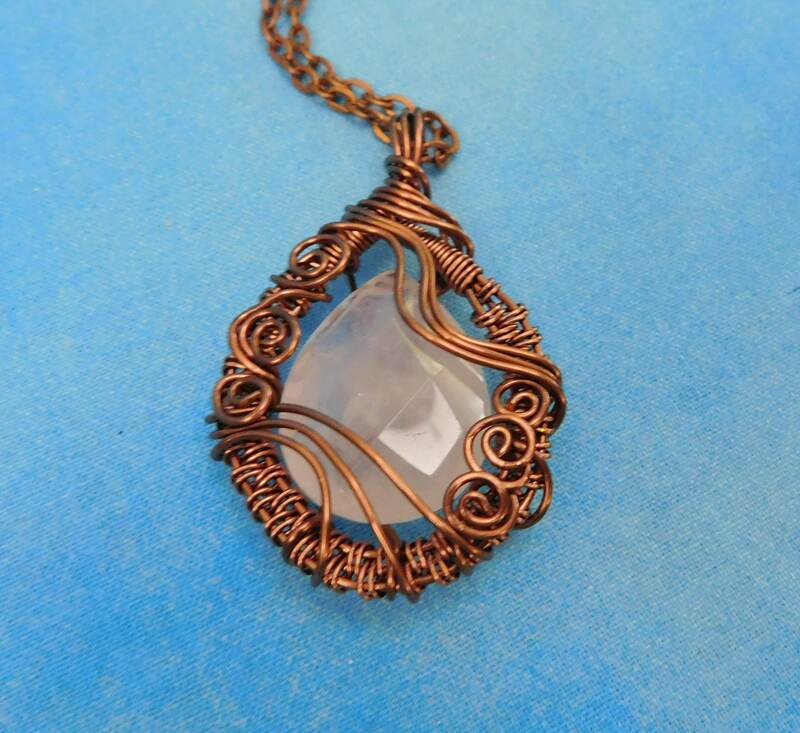 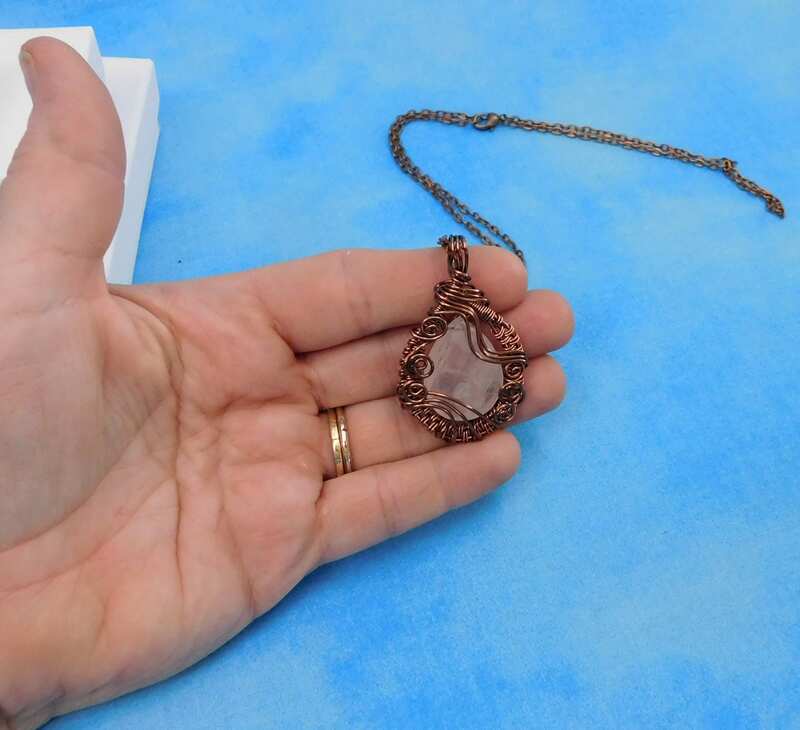 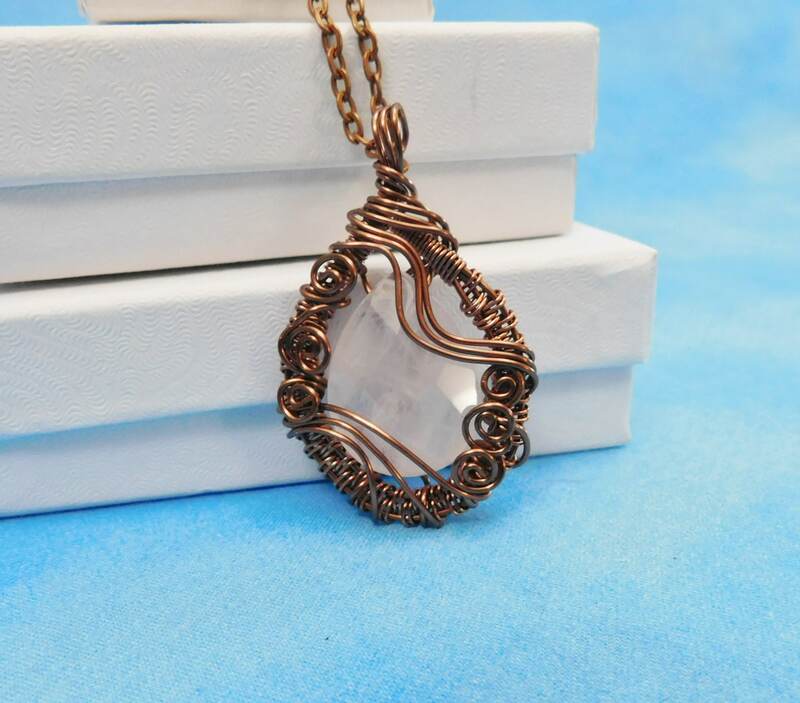 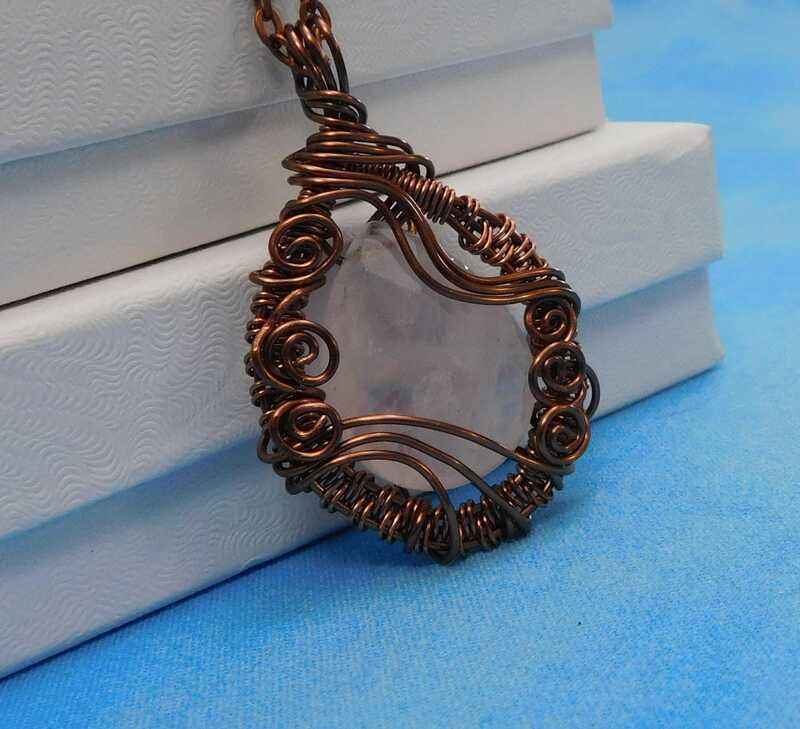 Lovely pale pink rose quartz is accented by dark copper woven wire that artistically frames it. 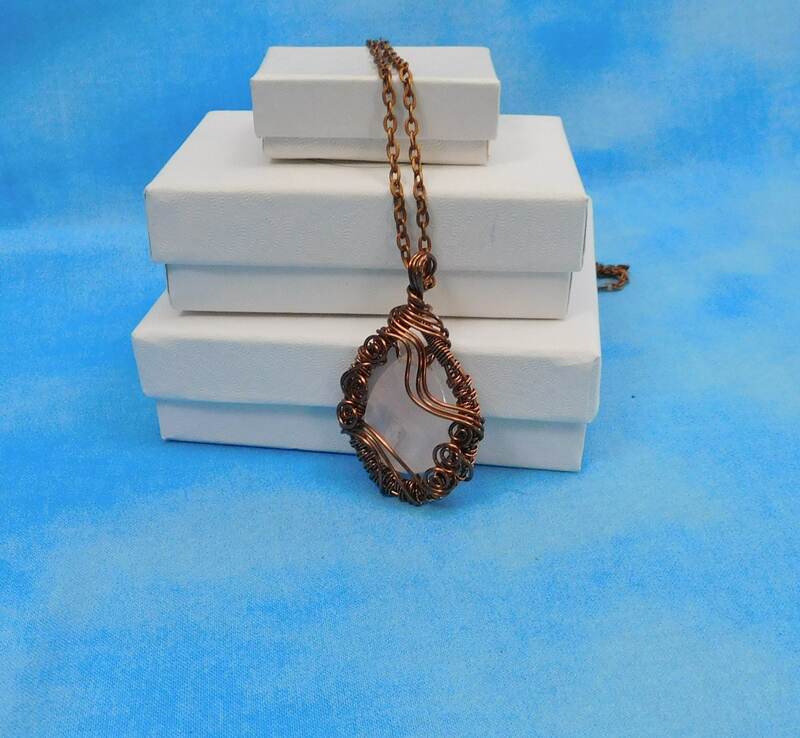 This is a substantial statement pendant that would compliment a variety of styles and colors in any woman's wardrobe. 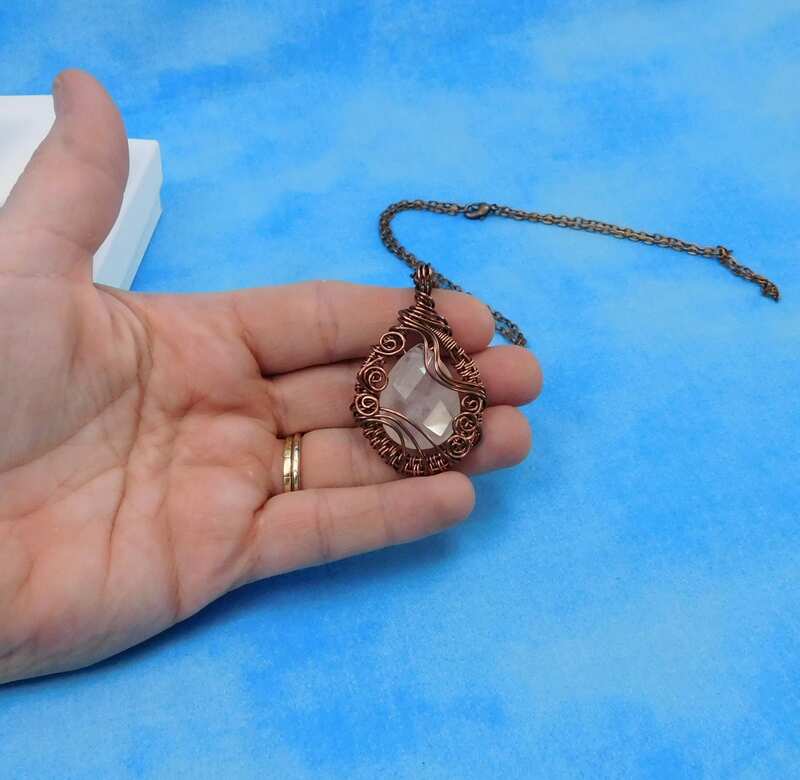 The pendant measures 1 1/2 inches by 1 1 /4 inches and comes with a FREE coordinating chain with lobster claw clasp, measured to your preferred length.